← Italian Wine & Halloween Candy Pairing! Abruzzo [say it: ah-BRUT-zo], on the east coast of central Italy, is a region full of color: the deep blue of the Adriatic sea, the grey of the mountains and castles from centuries past, greens of the national parks, and the fuschia, white, and golds of the oleanders and ginestre trees scattered across the landscape. Its winemaking history stretches at least as far back as the Etruscans in the 6th century BC, though the amount of production has varied over time as populations grew and declined – not uncommon for the Italian peninsula. The majority of the grapes grown and wines produced were quite different in antiquity compared to today with one major exception: Montepulciano. Today Montepulciano (unrelated to the Tuscan city and wine Rosso di Montepulciano or Vino Nobile di Montepulciano, both made from Sangiovese) along with Trebbiano make up nearly 90% of the region’s wines. But the dominance of these two grapes only happened relatively recently. Written records from the 18th century describe grape varieties as being complex and varied, including the likes of Lacrima, Zibibbo (=Muscat of Alexandria), and Moscatello (=muscat or moscato). The European phylloxera (=vine-destroying louse) epidemic of the late 19th century is likely to blame for the reduction of grape varieties used in the region today. Abruzzo makes about 40 million cases of wine per year, thanks to ideal terroir, viticultural practices, and the high annual yields they are permitted to produce. Most (~80%) of wines are produced by co-op wineries – a strategy that helped and continues to help make winemaking a financially viable option despite post world war economic struggles. The principal wines are Montepulciano d’Abruzzo, Trebbiano d’Abruzzo (troubling enough NOT always made from Trebbiano), and Cerasuolo d’Abruzzo (a full-bodied dry rose’). Small plantings and wine production of the nearly forgotten varieties like Moscatello, Pecorino, and Passerina are also starting to pop up – though they are still in the minority of Abruzzese wines. 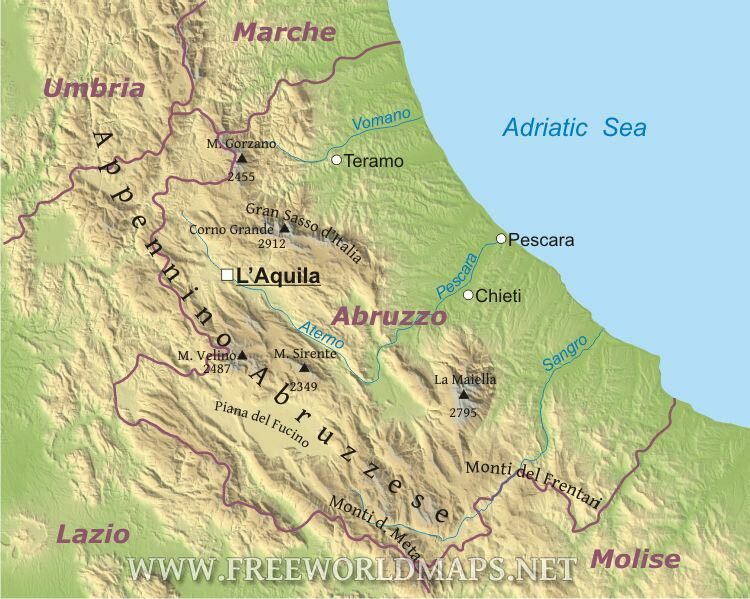 Geography: Abruzzo’s landscape features an ample amount of coast (~133km/~83miles) with its bays, coves and cliffs. 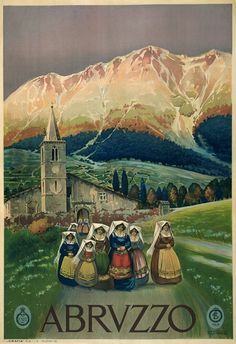 The region finds itself snugly between the Adriatic sea and the jagged Apennines mountains – among them is the famous Gran Sasso, the highest peak of the mountain range at 2,912 meters/9,553 feet above sea level. Besides the Gran Sasso there are other noteworthy mountains like La Maiella (~2,795 meters/9,169 feet above sea level) and Gorzano (~2,455 meters/8,054 feet above sea level). There are four major rivers that cut across the region: the Vomano, the Pescara, the Atemo, and the Sangro. 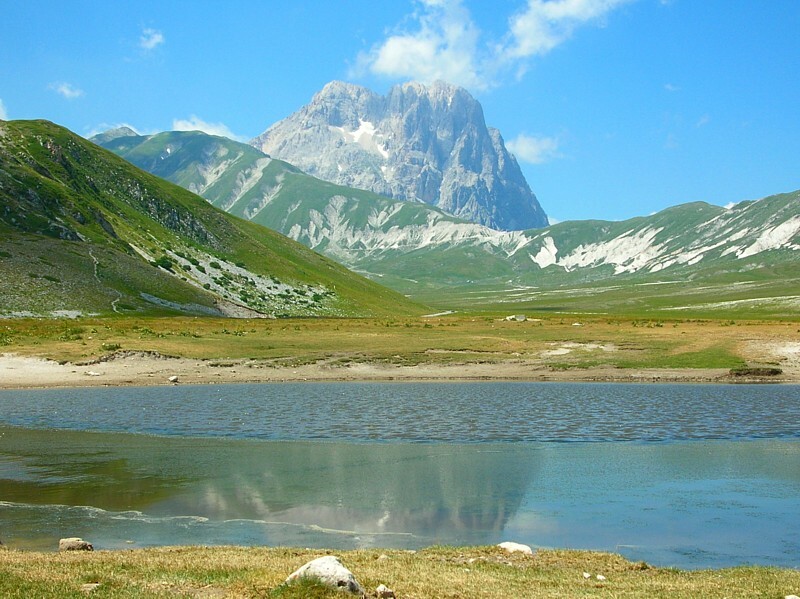 There are also many rich national parks, including the large Parco Nazionale d’Abruzzo which covers about 50,000 hectares (~123,000 acres) of land. The best areas of red wine production are said to be the territory called Colline Teramane – near the northern city of Teramo. Merlot (b) – French variety that is among the most planted black grape varieties in all of Italy! 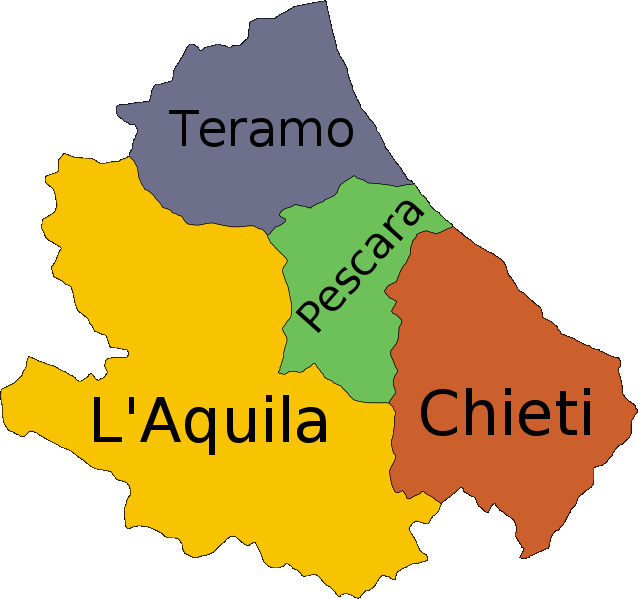 Wines from this area are often regionally and/or varietally labelled, for example Trebbiano d’Abruzzo (grape + region) or Ortona (region). 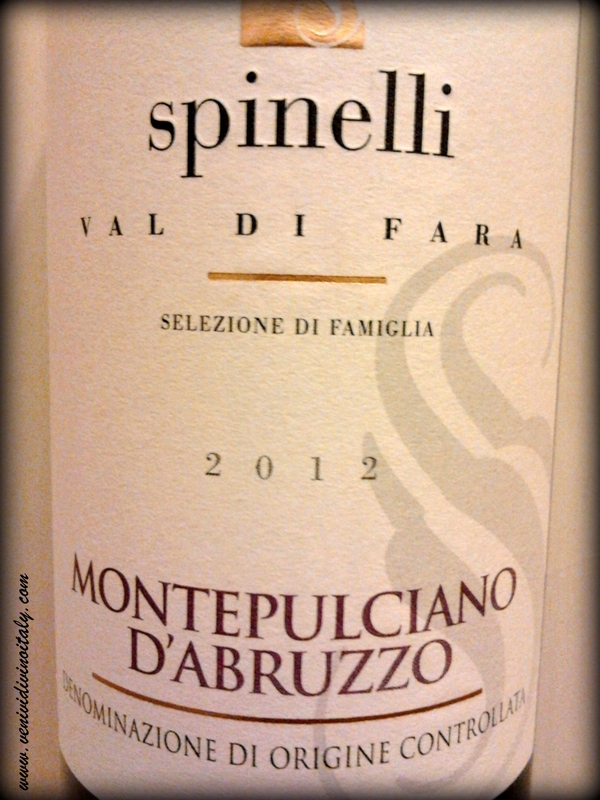 Montepulciano d’Abruzzo DOC/G– $-$$, undeniably the region’s major star, this wine is typically Montepulciano-dominate but may have other varieties blended in like Sangiovese. They are usually described as “rustic”, darkly colored, tannic, and full of dark fruit (plum, cherry) and spicy flavours. Entry level wines are cheaper and easier partners for pasta, pizza, and salumi while bigger (and more expensive) aged/reserva versions can compliment steaks, roasts, and hamburgers. 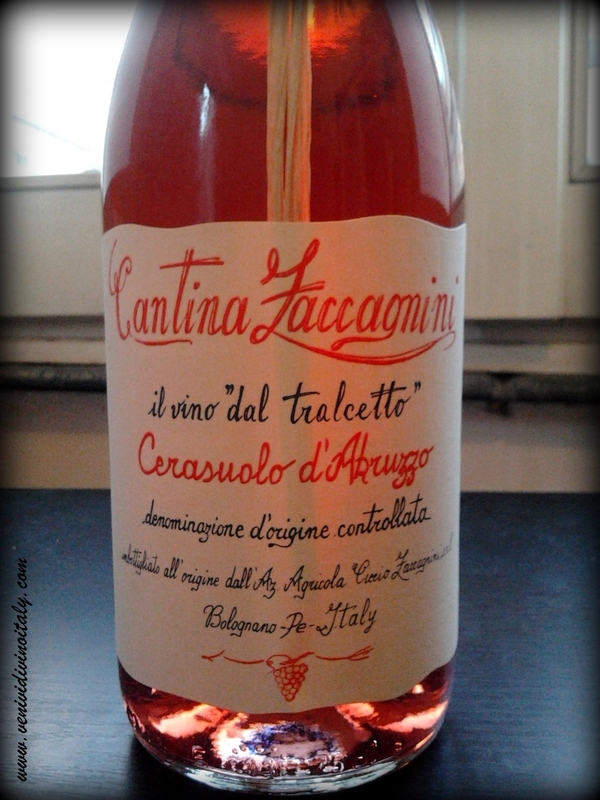 Cerasuolo d’Abruzzo DOC – $-$$, robust and dry rose wines made from the Montepulciano grape (either entirely or minimum 85%). They are usually meaty and full-bodied with fruity and spicy notes, so they can handle savoury meat sauces quite easily while still having enough pretty red fruit character to partner with appetizers like cheese plates, pastas without tomato sauces (e.g. pecorino romano cheese, butter+sage, or alfredo) and fish plates. Trebbiano d’Abruzzo DOC – $-$$, a confusingly named white for sure, because as it turns out the wine may not contain Trebbiano at all! Trebbiano d’Abruzzo (or Trebbiano Abruzzese) is actually a grape called Bombino Bianco. Wines labeled “Trebbiano d’Abruzzo” therefore might be entirely Bombino Bianco, or a blend that contains a small portion of Trebbiano Toscano. Trebbiano d’Abruzzo wines tend to be easy-drinking whites with high acidity and citrus and almond notes. They can be sometimes pretty underwhleming so look for versions labeled as Superiore for a more substantial wine experience. 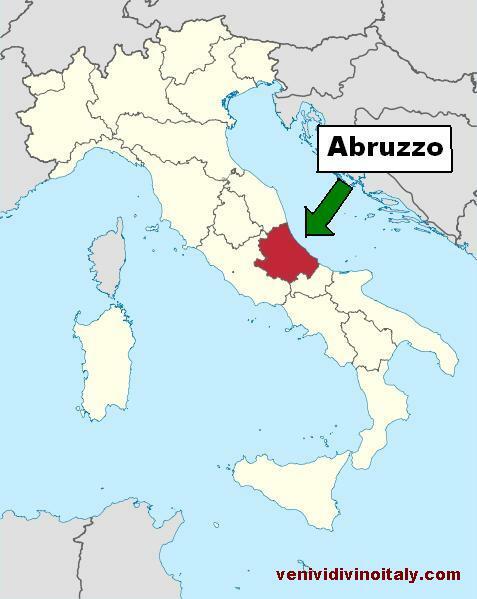 Abruzzo DOC – $-$$, this regional appellation was created in 2010 to incorporate Passerina and Pecorino in particular. Other than whites made from Pecorino or Passerina, Abruzzo DOCs might be whites made from other permitted varieties (see list above), reds, sparkling, and dessert wines. This entry was posted in Italian Wine Regions and tagged Abruzzo, adriatic, bombino bianco, Cerasuolo, Chardonnay, Chieti, Grapes, Italian Wine, Italy, Montepulciano, Pescara, Pinot Nero, red wine, Rose, terroir, Trebbiano, Vino, White Wine, wine appellations, Wine Regions. Bookmark the permalink. No mention of the fact that Cantina Orsogna in Abruzzo was named Italy’s ‘Winery of the Year’ 2012 at the annual VinItaly expo ?